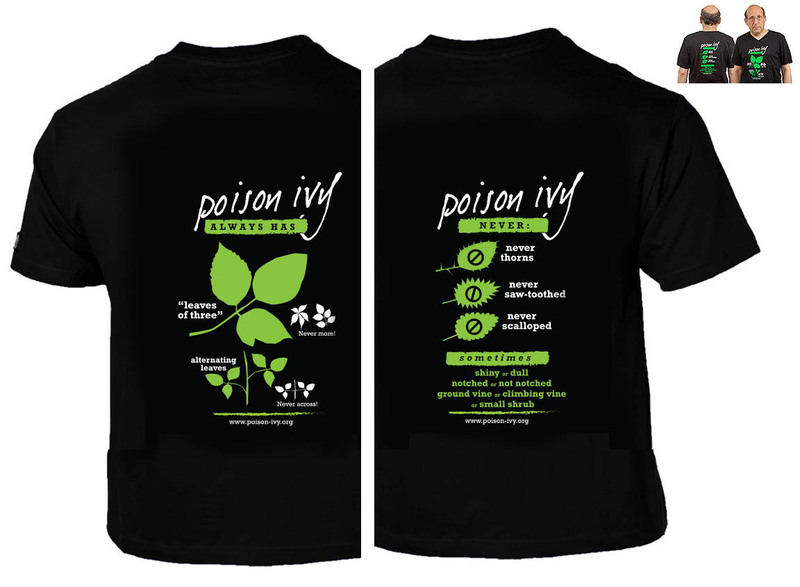 This Canvas brand V-neck T-shirt shows what poison ivy ALWAYS looks like on the front, NEVER looks like on the back, with a sometimes section, as well. This is a great, fun, attractive way to learn and teach poison ivy identification. 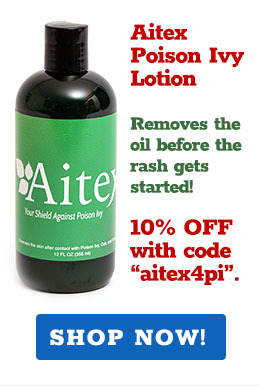 Save your family, friends, staff (even yourself) from the horrors of skin rashes. Shirt is Canvas brand black. Available in sizes from Small to XXL. And please send a better photo than dorky ME wearing the shirt!